Here in Woodridge, Illinois, cold season is in full swing. Now would be the worst possible time for us to be without our furnaces. However, furnaces do encounter problems, and, in some cases, will even cease to function. The key is to not let problems last too long. How long does it typically take for your furnace to reach a designated temperature? Typically, furnaces will accommodate set temperatures within around 30 minutes. 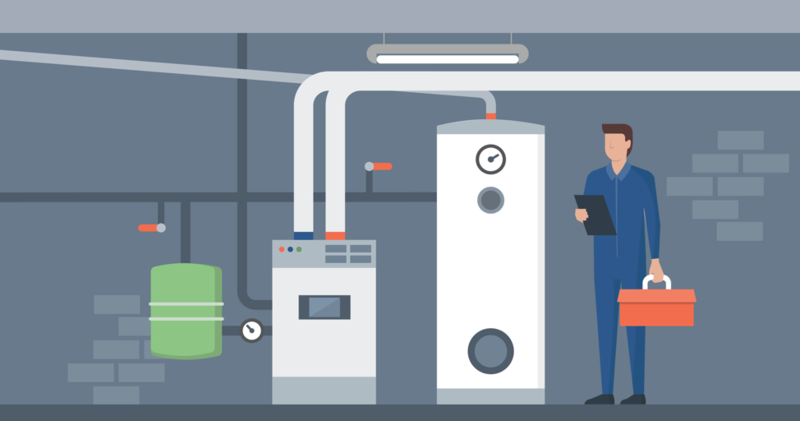 If it’s taking any more than an hour for your furnace to reach a desired temperature, it has likely encountered a problem of some kind. There could be a number of problems with your furnace. 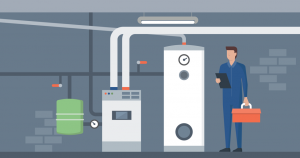 It could be suffering from thermostat connectivity issues, it could be dealing with clogged ducts, and it could even have motor issues. The only way to know what the problem is for sure is to bring in a furnace repair specialist. He or she will identify the problem, and make any necessary repairs. Does there seem to be a big difference between the actual temperature in your home and the temperature reading on your thermostat? If the answer is ‘yes’, your thermostat is more than likely to blame. Thermostat inconsistencies can arise for a number of reasons. Often times, wiring issues are the cause. In any case, an HVAC specialist will help you solve the problem. Another cause for concern is if you hear harsh noises coming from your furnace. Any number of noises can come from your furnace, and they’re all indicative of different problems. If you hear clicking noises, the problem likely lies in the flame sensor. If you hear squealing noises, the problem lies in either the belt or the motor. Regardless, if you hear a weird sound coming from your furnace, it’s recommended that you call a heating repair specialist. A major sign that your furnace requires repair is if it smells like gas. Furnaces that smell like gas could very well have a leak. Gas leaks are exceedingly dangerous, and could potentially result in death. If you smell gas from your furnace, you should first notify the authorities. After they have inspected it and ensured that it’s safe, you should bring in an HVAC technician to make any necessary repairs. Another sign that your furnace could have a serious issue is if it has a discolored pilot light. The pilot light in your furnace should be blue. If it’s yellow instead of blue, carbon monoxide could be leaking into your home. This is not something you want to play around with. Carbon monoxide is very dangerous, and ingesting it can result in death. In these cases, it’s strongly recommended that you call a heating repair specialist as soon as possible. He or she will be able to get your furnace back on the right track. In Need of Furnace Repair in Woodridge, Illinois? Has your furnace run into any problems? Is it demonstrating signs of distress? Looking for furnace repair services in Woodridge, Illinois? If so, Hearthstone Heating & Air Conditioning has you covered. Our team of highly experienced HVAC specialists knows all there is to know about furnace repair. We can have your furnace running at max capacity in no time. The heater has been taking close to an hour to heat up to 72 degrees from 68, which means that my daughter and I are shivering and bundled on the couch for the majority of the evening. Your information that your furnace should only take about half an hour to heat up is very helpful. With that in mind, I will start looking into residential furnace services to fix it. Thank you for talking about inconsistencies between the thermostat and the heating. My husband and I have been noticing that it’s colder in our house than what the thermostat reads. It’s definitely something that we’ll be contacting someone about so that we can get it fixed right away.